Vivian called just now to remind you of the meeting. 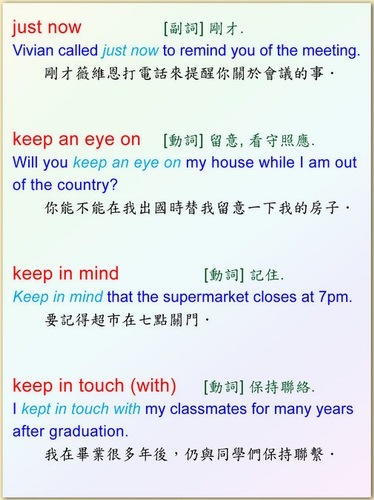 Will you keep an eye on my house while I am out of the country? Keep in mind that the supermarket closes at 7pm. I kept in touch with my classmates for many years after graduation.